Mr. Postman, do you have an email for me? Home > Blog > Mr. Postman, do you have an email for me? Last week I posted tips for writing letters to your camper—the best option for communicating with your kid during their time away at camp. Today’s post focuses in on email. Lots of camps out there offer a one-way email service to provide a speedier way to communicate with your camper. Speedier messaging methods may be handy, but they also sacrifice the personal touch that a handwritten letter delivers. Is it ever okay to email? Sometimes it might be your best option. 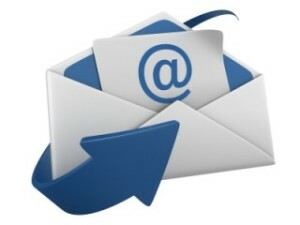 If you have an urgent message or you don’t have time to write a letter, email may be the way to go. It’s smart to confirm the camp’s policy when it comes to email. All camps are different. Some allow kids to receive emails but not to send them. Some camps will send parents a PDF image of their child’s handwritten reply. If you find yourself in a situation where email is the best route, keep in mind that it should represent a letter as much as possible. That means including a salutation, proper punctuation, paragraph breaks, and a warm closing. You’re sending your kid word from home, not typing out a careless office memo. 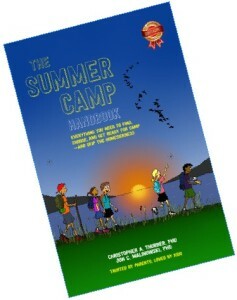 Check out CampMinder.com, a service parents can use to communicate with their camper. Parents log into their account, type out an email, and CampMinder sends your word to your kid’s camp where it’s then printed out and delivered to your child along with stationery and a pre-addressed, stamped envelope to reply. Another similar place to visit is Bunk1.com, offering the same service as well as a fun photo platform so that parents can sneak a peek into the camp life and maybe even see the permanent smile that their kid is wearing. These sites take privacy very seriously and have taken measures to solidify the security of their sites. Your kid is likely out playing, having fun, and making the most of every day! They aren’t sitting in front of a computer, so don’t expect an immediate response to an email. In fact, some camps have their computers whole miles away from the cabins and, consequentially, emails are checked just once a day. In that case, email isn’t necessarily any faster form of communication than a mailed letter. Tune in again next Monday to get a closer look at making phone calls and sending care packages to your camper. And, as always, thanks for reading!